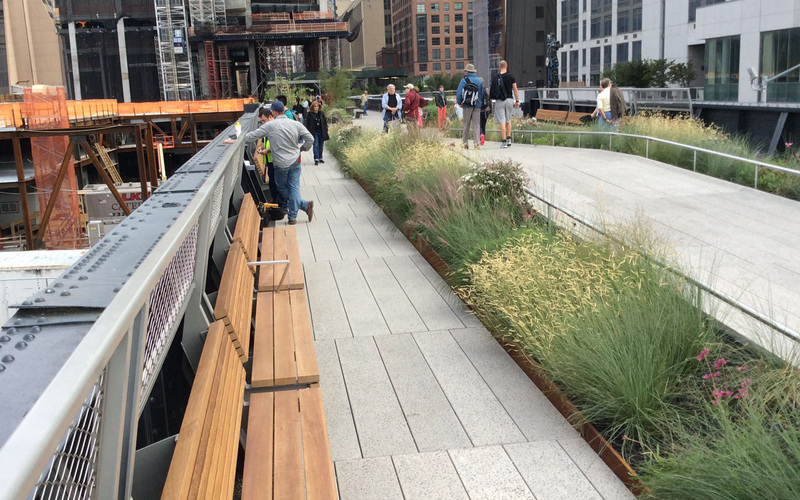 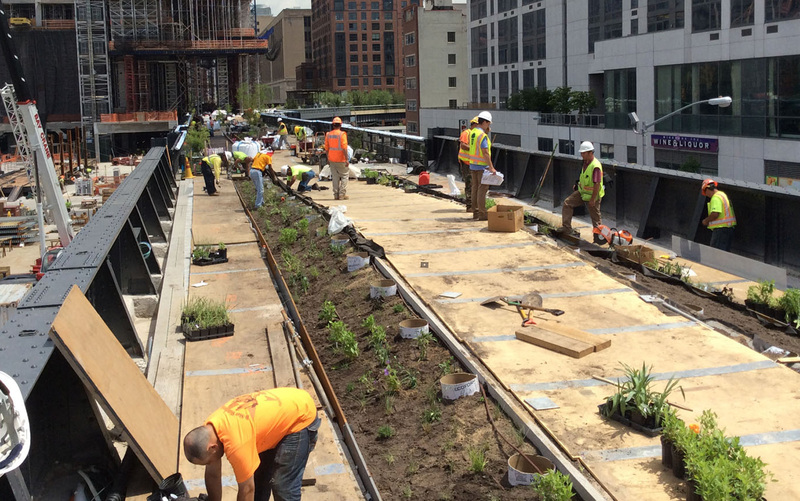 This 1.5 mile elevated railroad, abandoned in the 1980’s, has been transformed into an intensive green roof park that has energized its West-side Manhattan neighborhood. 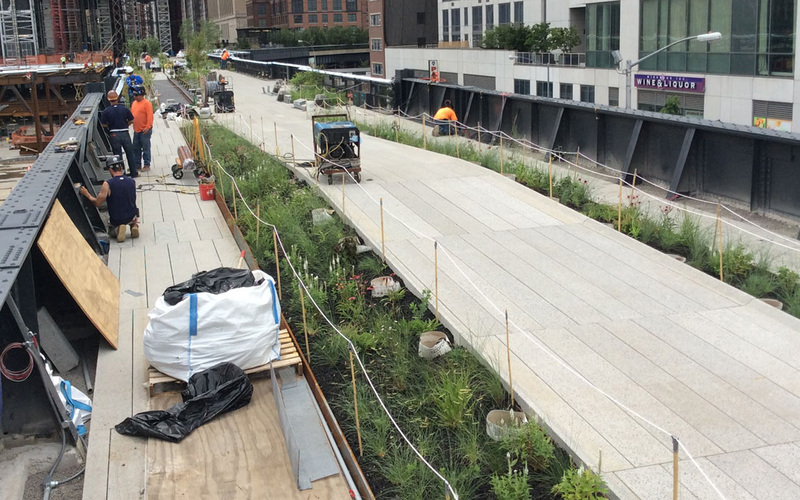 The innovative planting design, by Piet Oudolf, evoking the native grasses and perennials that self-seeded during the railroad‘s abandonment, has contributed to the success of this signature urban project. 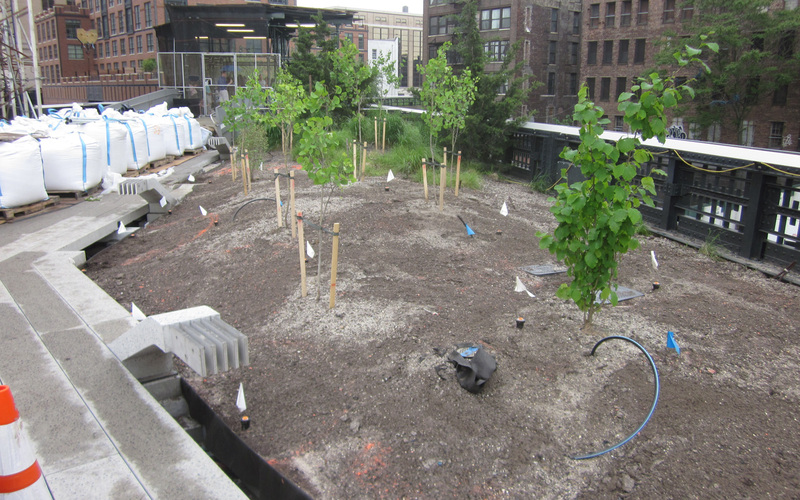 SiteWorks became involved early in the design process of Section I in 2005, assisting with landscape constructability reviews before the project was publicly bid. 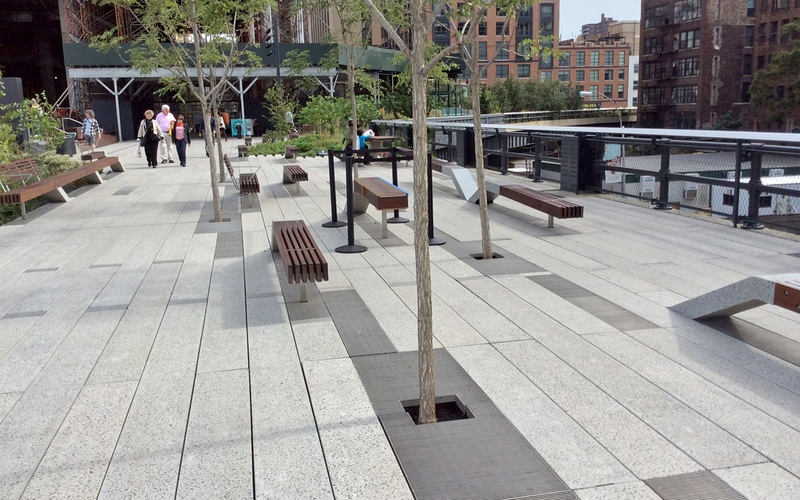 We worked closely with the client and the project’s design team to coordinate the construction of the imported soils, infrastructure, the water feature, lighting and paving systems as well as the planting sequencing. 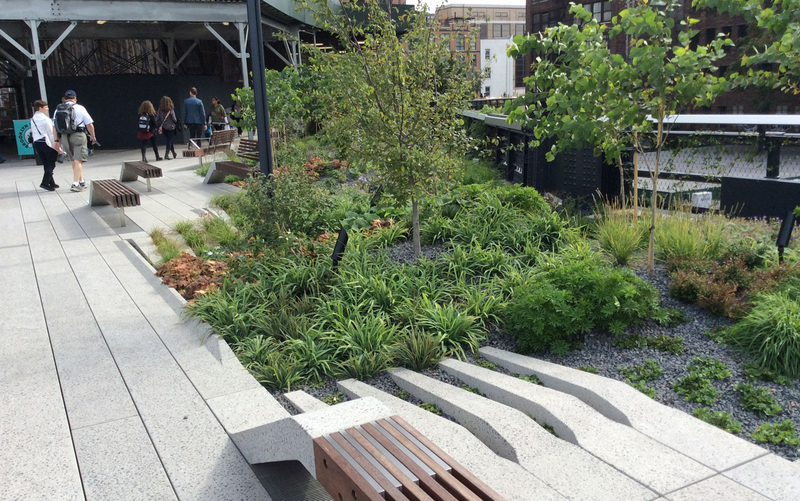 SiteWorks advised NYC EDC to contract grow the herbaceous plants in order to obtain the large quantities and unusual varieties that are the core of the design. 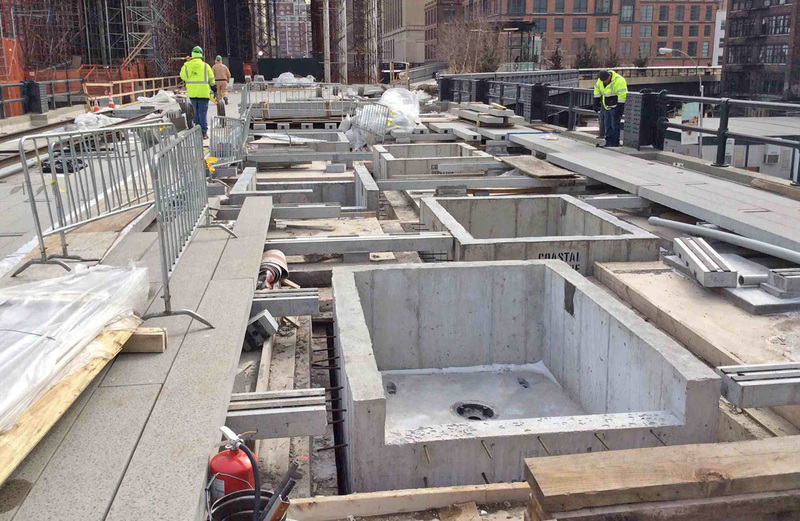 Contracting directly with grower, was vital to the project’s schedule and the overall success of the project. 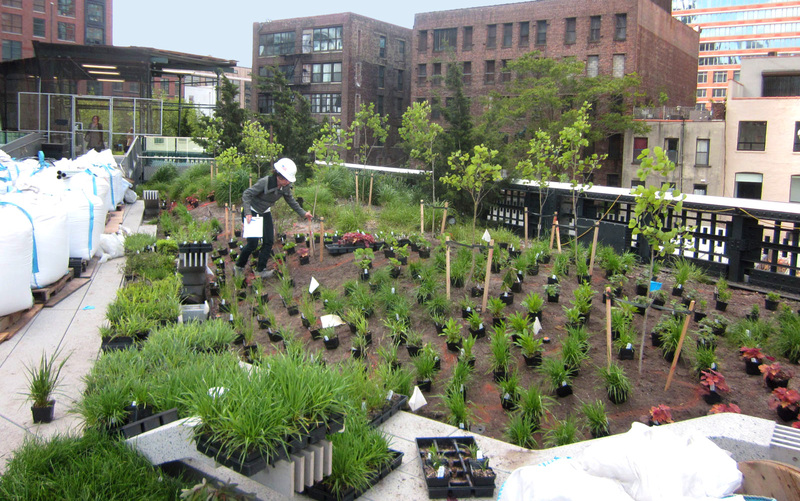 Many of the plants were either not available in the U.S. or not available in sufficient quantities to complete the work as designed. 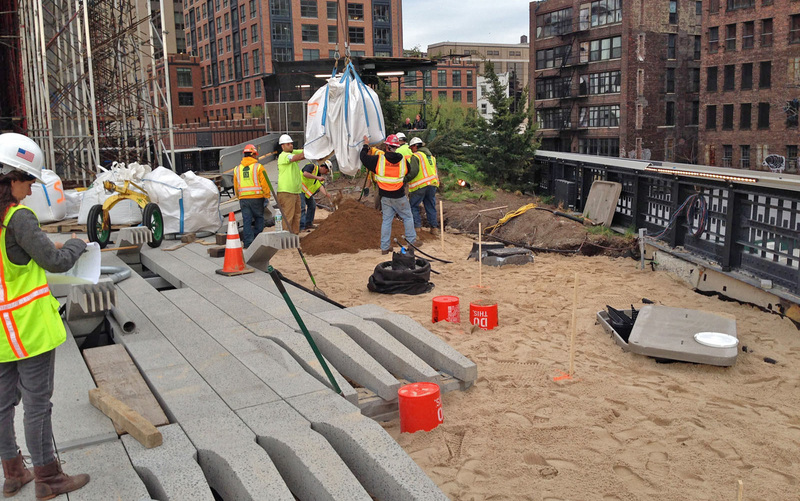 Additionally, SiteWorks’ expertise in park construction was crucial in sorting out the complexities of building a park 19 feet above the level of the surrounding streets. 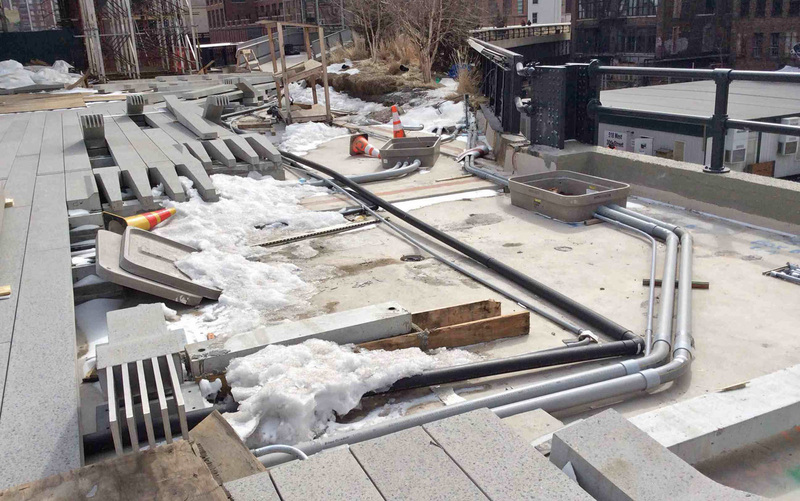 The immense popularity of the design is evidence of the success of our efforts. 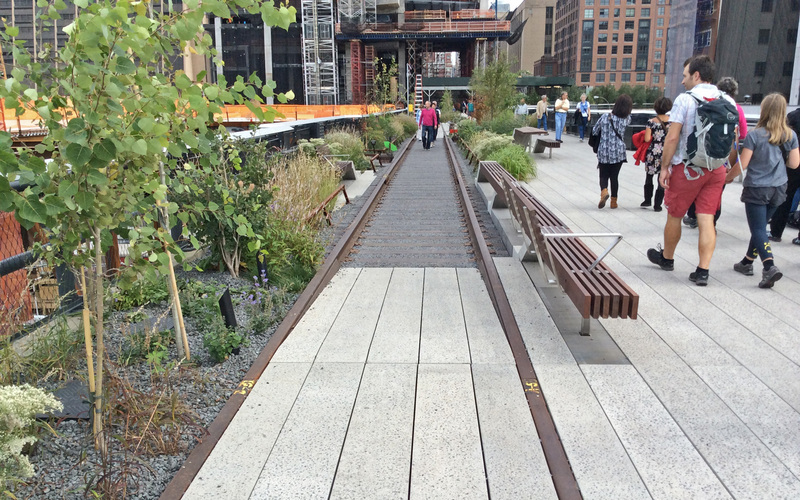 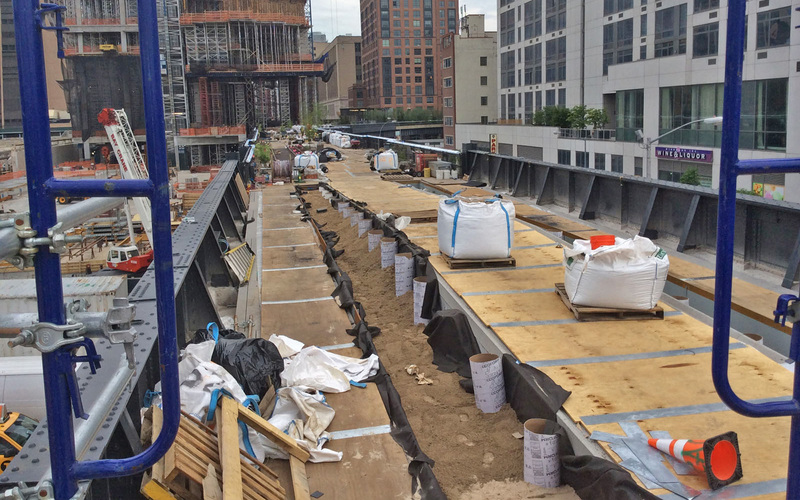  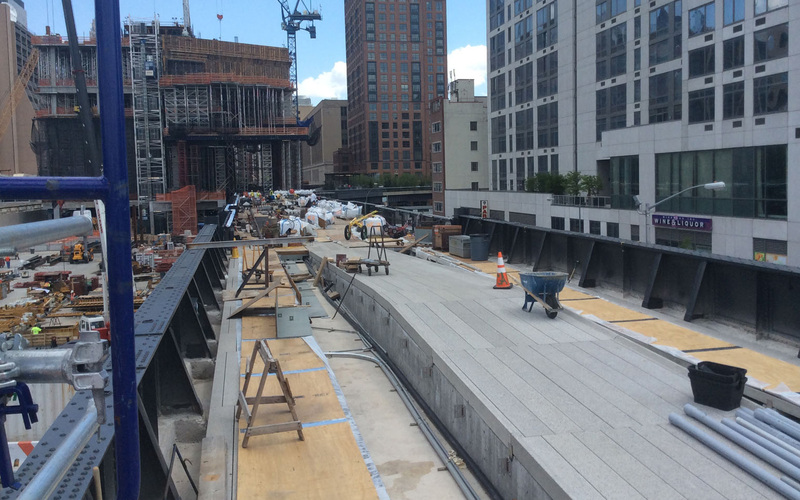 SiteWorks was on the three resident engineering teams for all three sections of the High Line; in fact we are the only firm including contractors, who hold this distinction.